To become successful in today’s highly dynamic business environment and satisfy the interests of all stakeholders, putting in place efficient and effective risk and compliance management system is extremely important. With this in mind, the Bank has a well-established Risk & Compliance Management Department directly accountable to the Board which is responsible for conducting independent oversight of the management of risks and compliance issues inherent in the Bank. The Department is structured by three divisions, namely, Credit & Operational Risk, Liquidity & Market Risk and Compliance Division each of them have their own essential duties & responsibilities vested upon them. 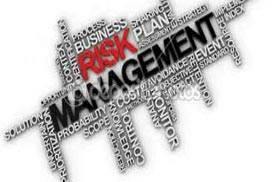 In doing so, the Department among others has given due consideration for identifying, measuring, monitoring and controlling the most common types of risks that include, Credit, Operational, Liquidity and Market risks as well as providing compliance function using a comprehensive risk & compliance management framework designed for this purpose. Considering the advancement in banking technologies coupled with the increasing demand of customers as well as regulatory organs and the stiff competition in the banking industry, the Department is in charge of conducting various risk-based assessments to proactively alert all concerned bodies to be well aware of the risks and design a strategy to properly manage them. In order to comply with the national and international regulatory requirements, the Bank has established effective Anti-Money Laundering & Combating of the Financing of Terrorism (AML/CFT) policy and procedures in line with the requirement of the pertinent organ. Further to this, the Bank has developed its own action plan and created awareness among all concerned organs to implement the National Risk Assessment plan recently issued by the Ethiopian Financial Intelligence Centre (EFIC). The relevant documents such as Risk management program, policies and procedures have also been revised regularly to reflect changes in market conditions, products, and services offered by the Bank. As part of its capacity development program and building a strong risk management culture at all level, the Bank is continuously giving various trainings and awareness creation sessions to its Board, Management and employees to better understand and manage risks in their areas of operations thereby contributing more to the successful achievement of the Bank’s overall objectives.